Tennis Maps are now Online! 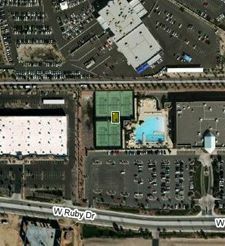 Are you looking for a map of all the tennis courts in the Phoenix Area? USTA Central Arizona now has an interactive tennis map that shows local tennis courts! A link to a map of all the tennis facilites used for adult and junior tournaments is listed at the bottom of the Adult and Junior Sections. Or, for a full listing of all tennis courts in the area, go to About Us, then choose Tennis Map, or click here and go directly to the full map. This is a great way to find a new tennis court to play on!